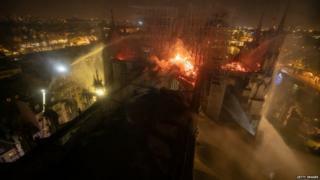 An investigation has begun into the fire that swept through the medieval cathedral of Notre-Dame in Paris, destroying its roof and spire. 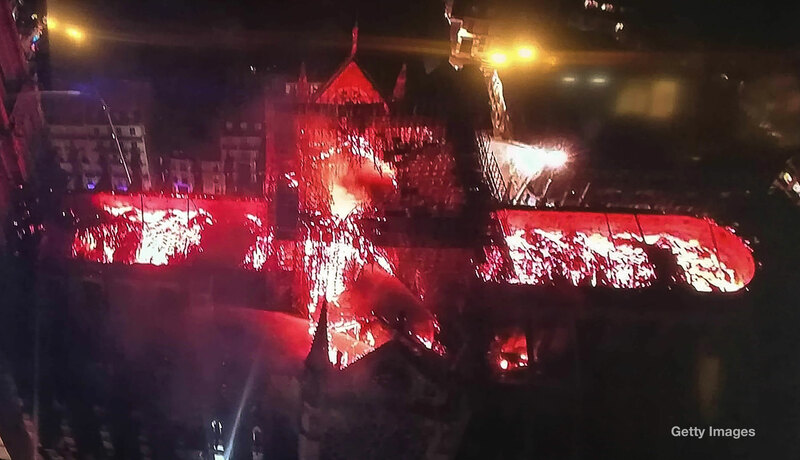 Much of the roof was covered in scaffolding as part of a big renovation programme, which is being investigated as a possible cause of the blaze. The fire began at about 18:43 local time on Monday (15 April). 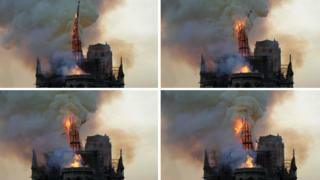 Pictures show flames shooting up around the spire, shortly after the doors were shut to visitors for the day. The blaze spread rapidly along the wooden roof as onlookers gathered on the ground below. Firefighters worked through the night to bring the blaze under control. 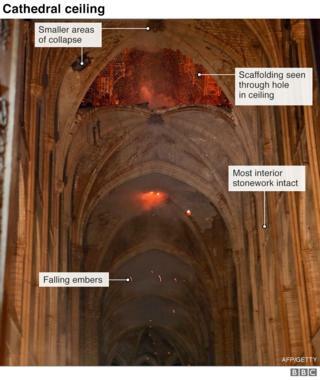 At one point it was feared the whole building would be lost as flames were spotted in one of the main bell towers. The fire was finally declared out at about 10:00 on Tuesday morning. 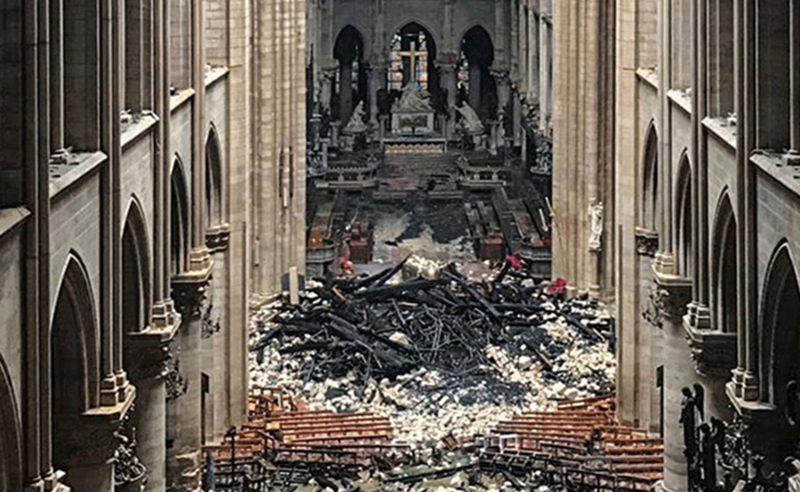 Some 400 firefighters and 30 fire engines were deployed, but they were unable to save the spire, replaced in the 19th Century during a previous refurbishment and made of oak covered with lead. 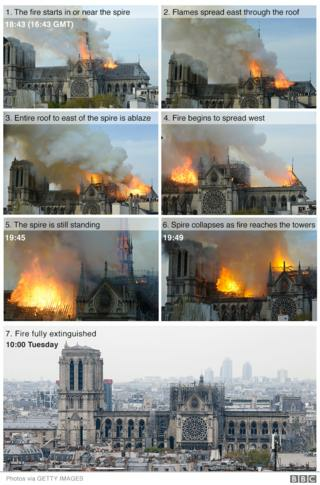 The spire collapsed just before 20:00. 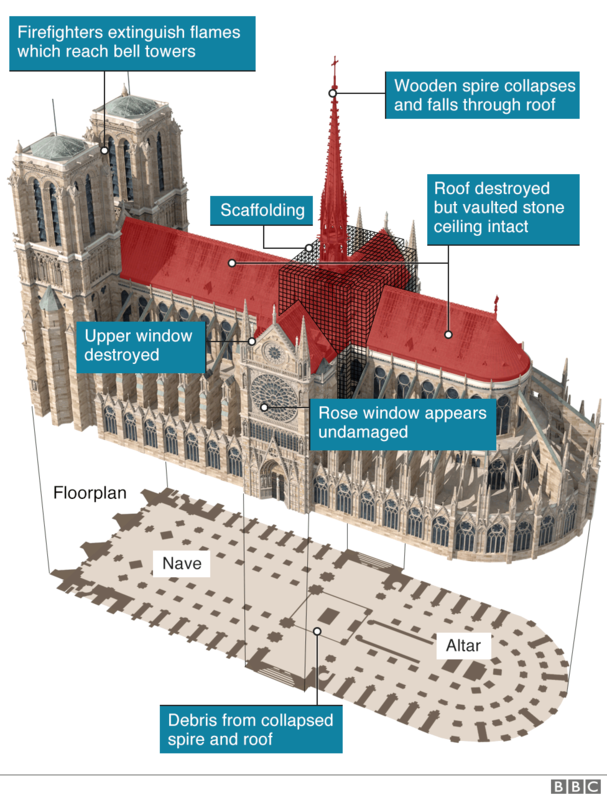 The roof was made up of a "forest" of wooden latticework, much of which dated back to the 13th Century. 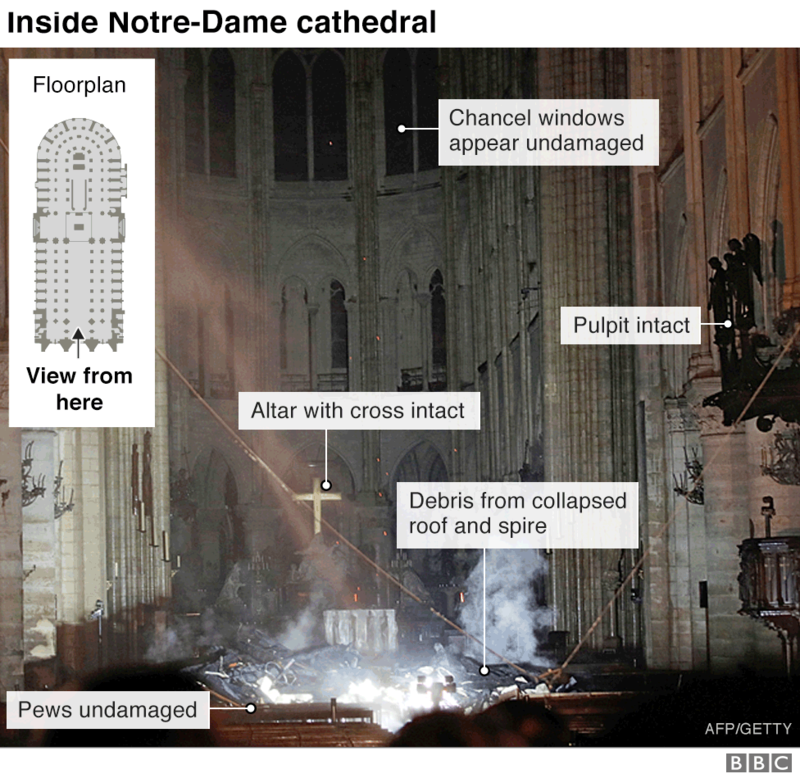 Underneath the roof, the vaulted stone ceiling appears to have survived mostly intact and this will have protected the inside of the building from the worst ravages of the fire. But it is still unclear how much of the interior will have suffered water damage. 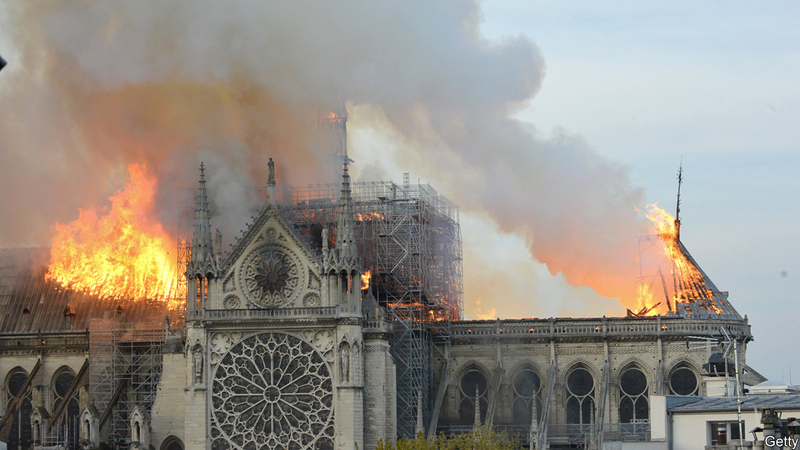 Paris Mayor Anne Hidalgo said most artworks and religious relics were removed from the cathedral as firefighters worked to control the flames. Sixteen bronze statues, including the 12 apostles, were removed from around the spire only four days ago, prior to the latest renovation work. 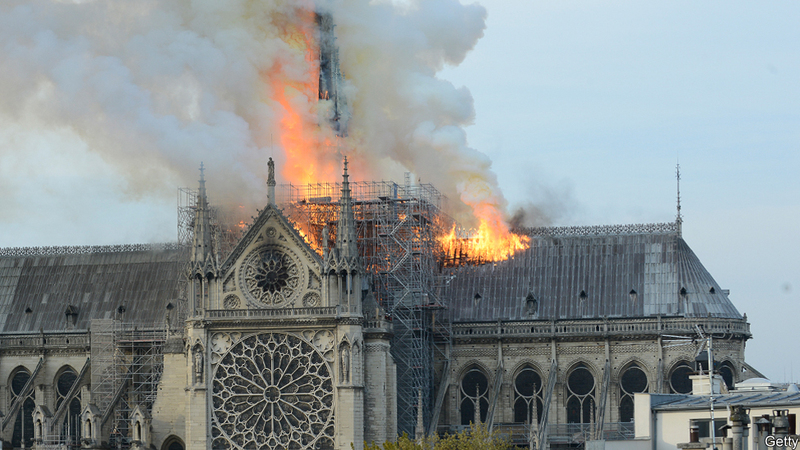 The Archbishop of Paris says all three of the cathedral's famed rose windows have been saved, but other, smaller windows, closer to the seat of the fire, have been badly damaged. 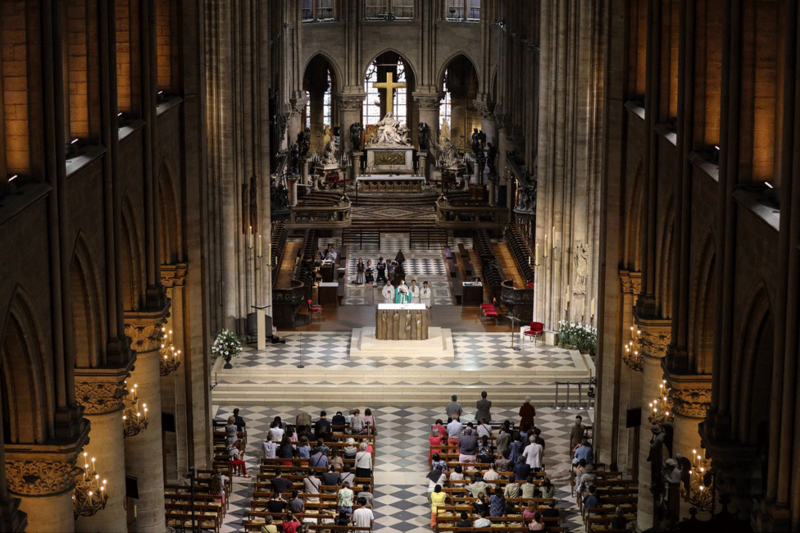 President Emmanuel Macron has vowed to rebuild the cathedral and already money has been pledged from within France. Offers of help have also poured in from around the globe. 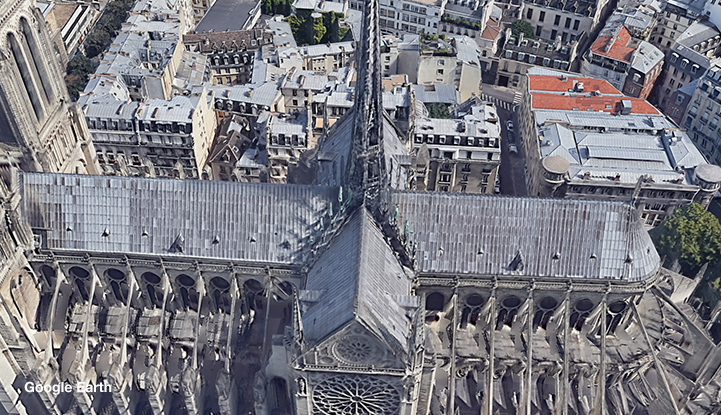 A previous restoration in the early 1800s followed the publication of Victor Hugo's novel, "The Hunchback of Notre Dame", which revived interest in the ancient cathedral. Drawings made at the time of that refurbishment are likely to help inform the rebuilding work.